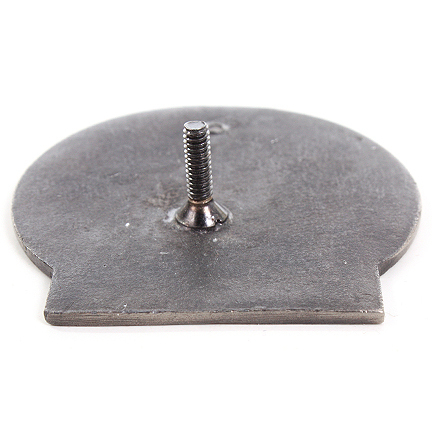 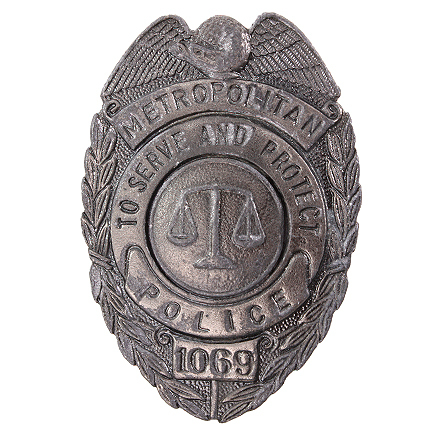 This badge and cap device was worn by principal characters from the classic 1984 comedy “Police Academy” starring Steve Guttenberg and Kim Cattrall. 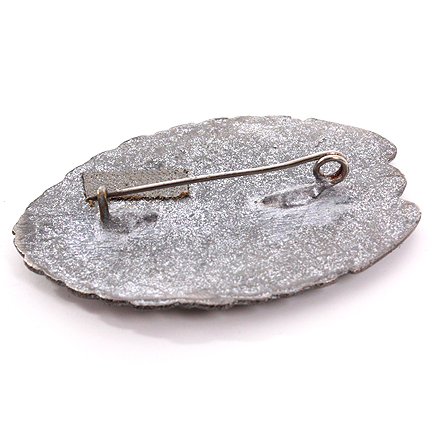 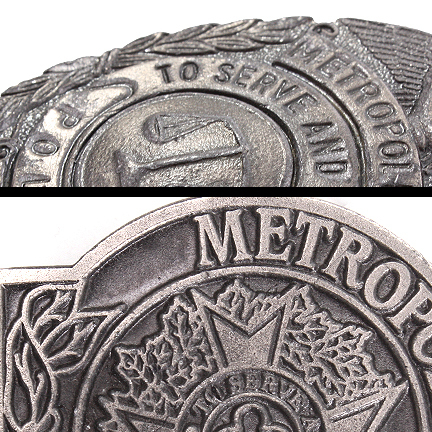 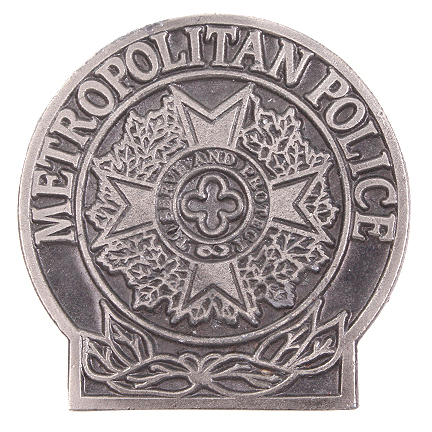 Both metal items are silver, with the badge emblem including “Metropolitan Police: To Serve and Protect” surrounding a judgment “scale” and the precinct number “1069.” The cap device includes the words “Metropolitan Police: To Serve and Protect”. 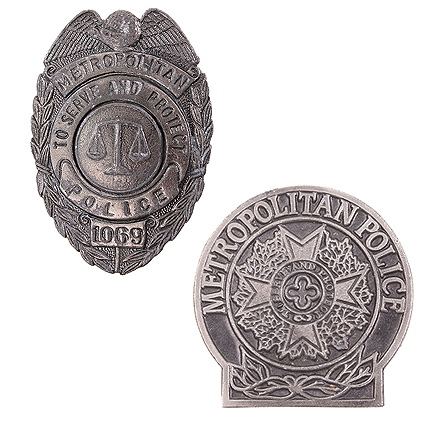 These items can be seen worn by principal characters throughout the film as the new recruits train to become Police officers. 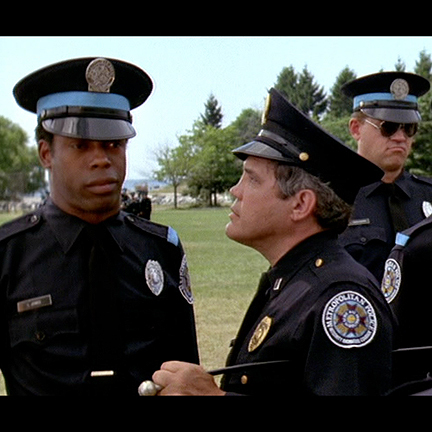 The screen grabs provided here are not necessarily of these particular items, but the items are indeed from the Police Academy film. 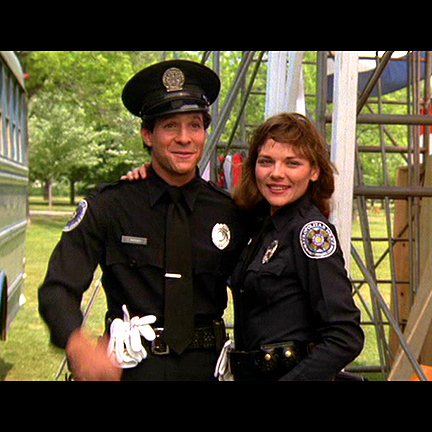 This film was the first that introduced the world to the zany antics of a group of memorable characters including “Mahoney”, “Tackleberry”, the human voice machine “Jones”, sultry “Callahan”, “Lt. 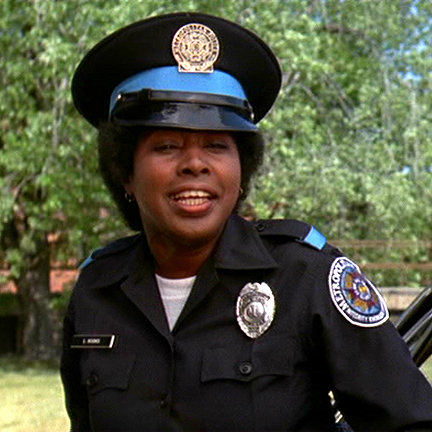 Harris” and “Commandant Lassard.” In 1984 it grossed $146 million dollars worldwide and brought on the laughs with six more films in the series.